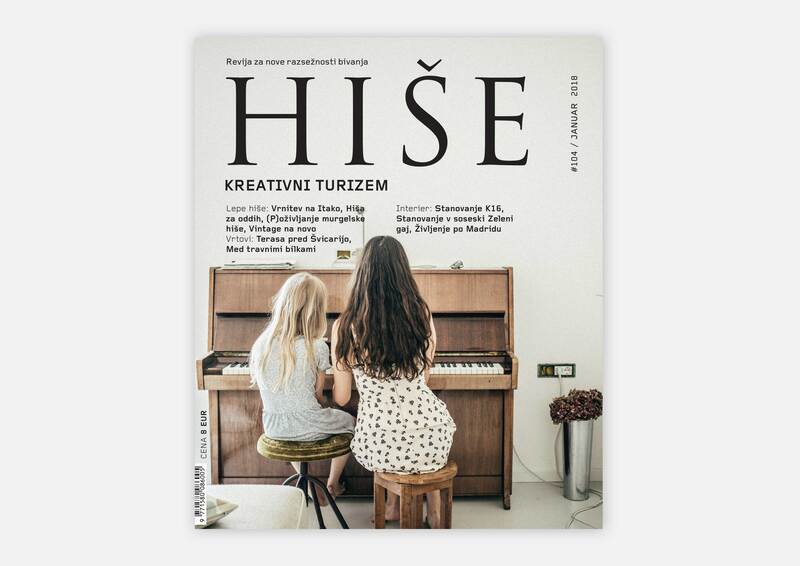 Since 1999 HIŠE has been Slovenia’s leading architecture magazine, aiming to raise the general culture of living. It showcases family houses, interiors, essays on architectural topics and interviews with important architects. It targets architects, developers, constructors, investors, and general public with refined tastes and sharp aesthetic criteria. The magazine’s mission is to inform investors about good architecture, culture of living and progressive concepts in relevant fields. It explores the most influential architectural trends, discovers breathtaking architectural projects and rising stars, and seeks useful solutions to the problems its readers face. The magazine informs investors about good architectural practices, the culture of living and modern concepts of living. It seeks to promote greater quality in the macro- and micro-environment, sustainable development, greater use of renewables, environment-friendly materials and particularly the construction of quality-built and beautiful houses.